A cast member on the hit television show ‘Empire’ alleged he was physically attacked by men in Chicago who shouted racial and homophobic slurs, police said Tuesday. 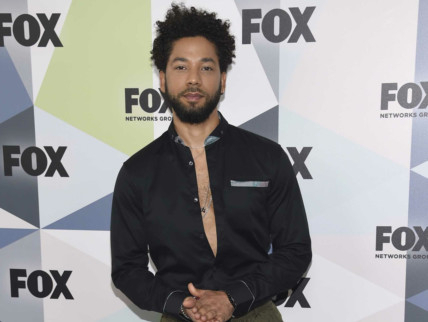 Police did not release the actor’s name but a statement from Fox, which airs ‘Empire’, identified him as Jussie Smollett, 36. Authorities said they are investigating the alleged attack as a hate crime. Smollett is black and openly gay. According to a police statement, the actor was walking near the Chicago River downtown around 2am. Tuesday when he was approached by two men who shouted at him, struck him in the face and poured an “unknown substance” on him before one of them wrapped a rope around his neck. The hourlong drama ‘Empire’ follows an African-American family as they navigate the ups and downs of the record industry. Jamal Lyon, Smollett’s character, is the gay, middle son of Empire Entertainment founder Lucious Lyon and Cookie Lyon, played by Terrence Howard and Taraji P. Henson, respectively. ‘Empire’ co-creator Lee Daniels also voiced his support for Smollett in an Instagram video. Smollett released his debut album, ‘Sum of My Music’, last year. ‘Empire’ is shot in Chicago and a Fox spokeswoman said the program is currently in production.